Review Every two or three years I go back and listen to my collection of Lou Reed albums repeatedly for a month or two. During such stints, I seldom listen to anything else. After his latest release (The Raven) I decided to revisit his substantial catalog in order to, for my own sake, place his current work in a broader artistic context. There has always been a tremendous thematic continuity in his work that I appreciate. After listening to his recent releases and then to “Take No Prisoners,” I was pretty shocked (in a good way, mind you) by how completely different Lou Reed was back in the late `70s. Bold, brash, arrogant, desperate-Lou Reed was all these traits in addition to being one of the greatest singer/songwriter/performers of the `70s. 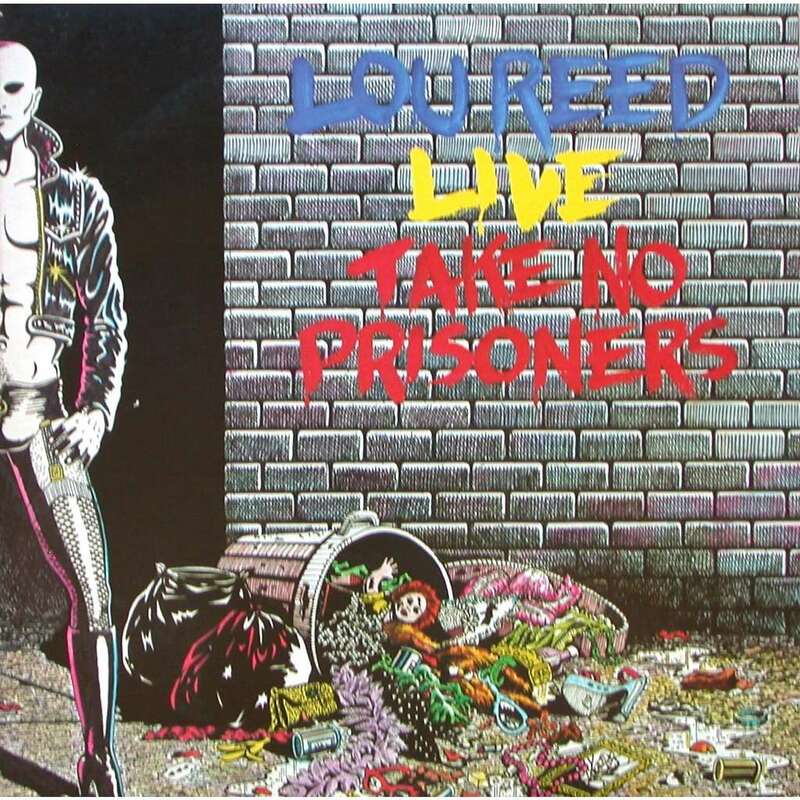 “Take No Prisoners” is an incredible album that features a version of Lou Reed that is just as edgy and abrasive as the crowd to which he plays. The band is tight, but often they are not given much of a chance to develop the tracks into coherent musical constructions, due to Reed’s extensive monologues, which are occasionally compelling, sometimes banal, but often hilarious. When the band does find the room to break into the choruses of the songs, they charge into them with the strength and force of a runaway locomotive. This was a great band recorded on a very special night. The energy in the music is astounding. Although the discs boast several classic Reed tracks that are all performed in a style that is somewhere between the Lou Reed we are normally used to hearing and something from the comedic repertoire of Lenny Bruce, for me the standout tracks are the versions of “Coney Island Baby” and the epic “Street Hassle” on Disc 2. Reed’s singing on these tracks is stellar-he passionately captures the speech mannerisms of the downtrodden, the hustlers, and of the humanly expendable in these songs. He so convincingly becomes the characters in these songs that you feel as though you are down in the gutter with him, looking for that crumb of salvation that someone may have left behind. The only issue I have with this recording is the poor remastering that was done for the CD release. An original LP vinyl copy will sound much better than this CD, which contains far too much tape hiss to be a genuine remaster. The poor sound quality of the CD prevents me from giving this a 5 star review. Review I have read dozens of reviews of this album and don’t really understand why so many (about half I’d say) are so damn critical of it! First, this is a LIVE album. If you were expecting exact renditions of his studio tracks, you are listening to the wrong musician. Lou never performs songs live as they appear on his albums. Secondly, I hear complaints about the crappy band behind him or Lou’s tendency to completely ignore them. This criticism is way off the mark. This band (named The Everyman Band) was arguably the greatest band that ever played behind solo Lou. His live shows were jazz-inspired and his band was made up of jazz-influenced musicians. Listen to the band lie low, playing quietly behind a ranting Lou, and then suddenly explode as Lou hits the chorus. They don’t stumble, they don’t stutter…they know exactly when to play. Besides, this CD contains the best take of Street Hassle I have ever heard. The remastering job is more of a “repackaging,” so don’t expect crystal clarity. You better hook up the old turntable for that to happen. All in all, I gave this 4 outta 5. If you are looking for more of Lou’s 1978 stint at the Bottom Line, there are a number of bootlegs out there that will satisfy your thirst: “Small Club in NYC” and “The Compilation Tapes” are the best among them.